Customers send messages to your Facebook business inbox through your store. With Adcrowd's App you can reach lost customers and invite them back to your webshop to complete their purchase. The first two weeks of retargeting are free up to $50. Most traffic coming to your is not resulting in conversions. If it is not page bounced then it is cart abadonment. This is the difference between a succeessful business and a failure. Did you know that you can reach these potential 'window-shopping' customers all around the web using retargeting? 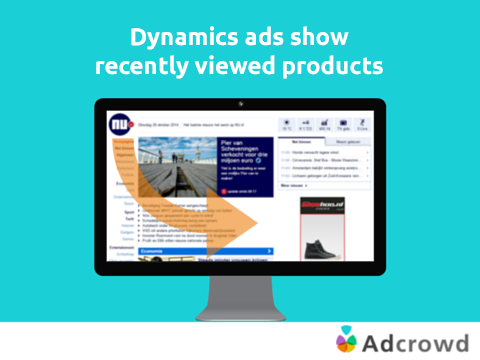 And that you could show them the exact products they clicked on earlier using dynamic ads? Retargeting lets you reach your ideal target audience, namely the people who have already visited your website. By using specific cookies for retargeting, your potential customers can be shown ads containing your products and logo on other websites they frequent. Your ads can be displayed on a large variety of pages, since Adcrowd works with the largest ad exchanges. Retargeting is a proven and effective way of online advertising that all large companies and webshops already use in their marketing efforts. Adcrowd's Webshop App now allows for every webshop, big or small, to start using retargeting and test the positive effects themselves. Besides advertising all around the web, the Webshop App allows for you to also easily start your own retargeting campaign on Facebook. By advertising on the largest social network, your potential customers see your ad prominently in their News Feed and Facebook Sidebar. Our clients have observed the positive effects of Facebook retargeting with an increase in profit and conversions. How do I start using Adcrowd? Starting your own retargeting campaign is very easy for clients of Lightspeed. By simply installing the Webshop App, all the necessary information is grabbed from your webshop to start using retargeting and dynamic ads. After all details are received and synchronized, you see an example of your dynamic ads. These can be personalized by adjusting border colors and call-to-action. When you are happy with the way your ads look, all you have to do is fill in your weekly budget. After completing the payment process your ads will immediately be displayed to your potential customers all around the web. Adcrowd does not have start-up costs or periodical costs. You determine the ad spend per week, which can be modified all the time. 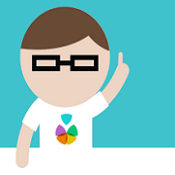 "Adcrowd has an easy to use platform to reach our potential customers with the right offer. After only two months our conversion rate has risen 25%." "Our conversion rate went up with 31% using Adcrowd. Retargeting is an essential part of our online marketing strategy." Adcrowd is the largest Dutch self-service retargeting platform. Over 3,000 clients are already using the platform since its foundation in 2013 to reach potential customers all around the web and Facebook.